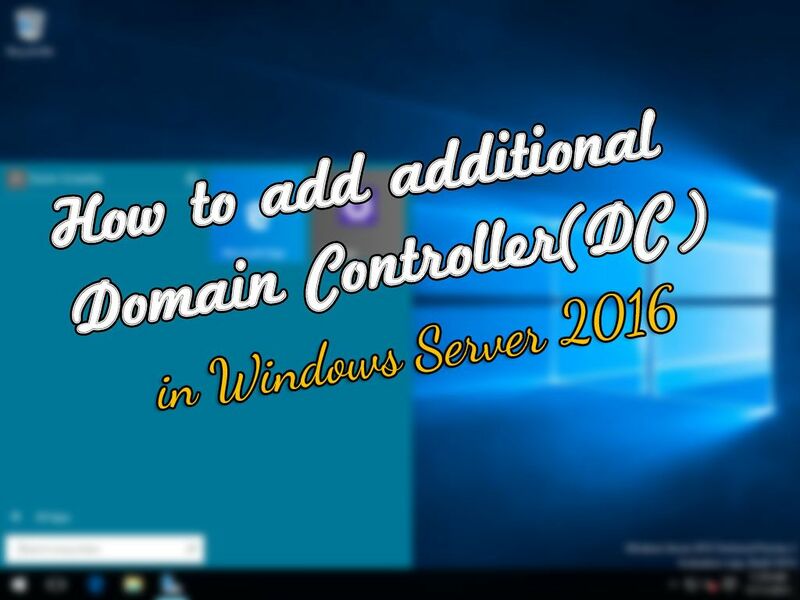 How to Create a Storage Pool in Windows Server 2016? A Storage Pool is one or more physical, internal, external disks or other various interfaces which extend more than one disk into one or more and create fault tolerance and other features. 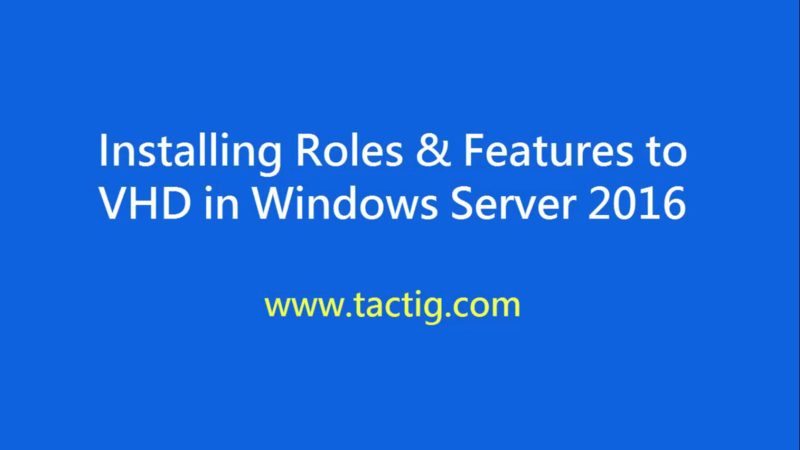 Windows Server 2016 include tools that enable you to manage disks graphically or from the command prompt easily. 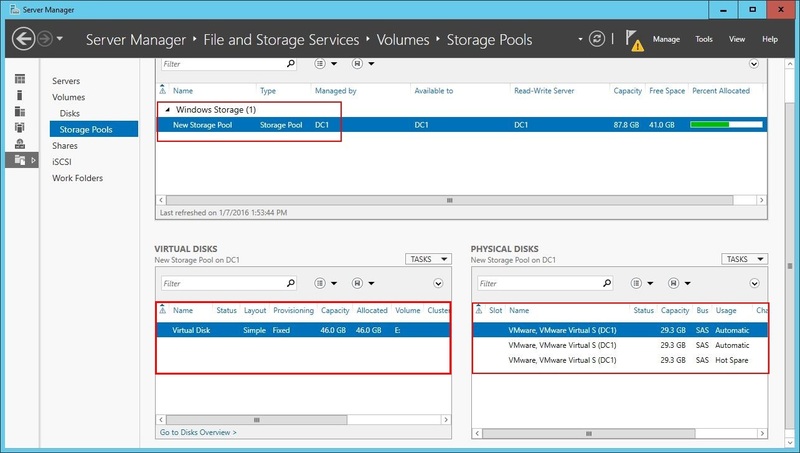 By using Server Manager, you can create a storage pool and span multiple disks into one and manage volumes and disks. 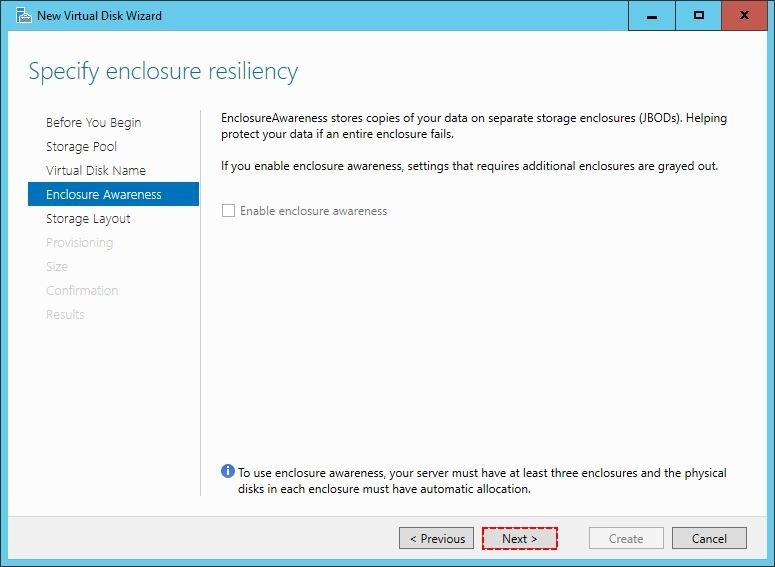 To create a storage pool, you can set failover clustering or mirror volume to save disk data more secure and manage it easier. So let’s get started. 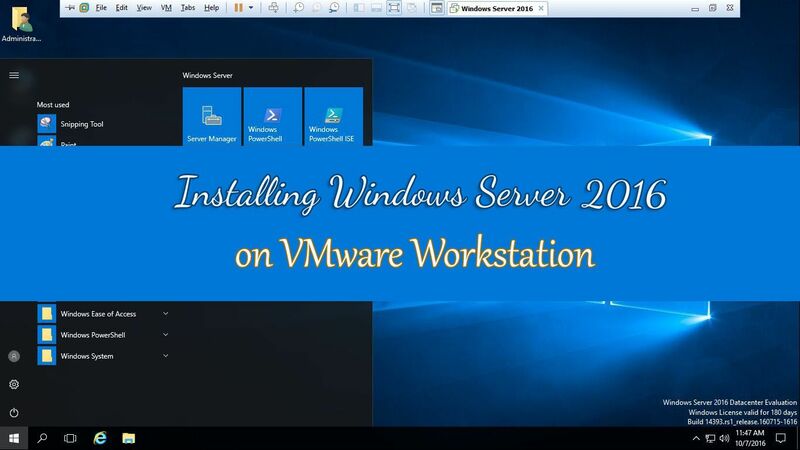 In this article, I am going to create a storage pool in Windows server 2016 using VMware. 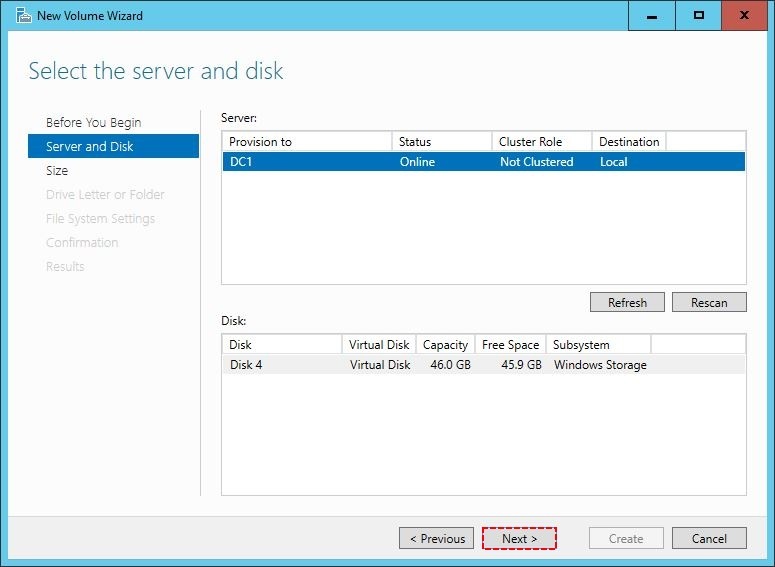 All the disks are logical and working fine as like a physical disk in a computer to work on with storage pool in windows server 2016. 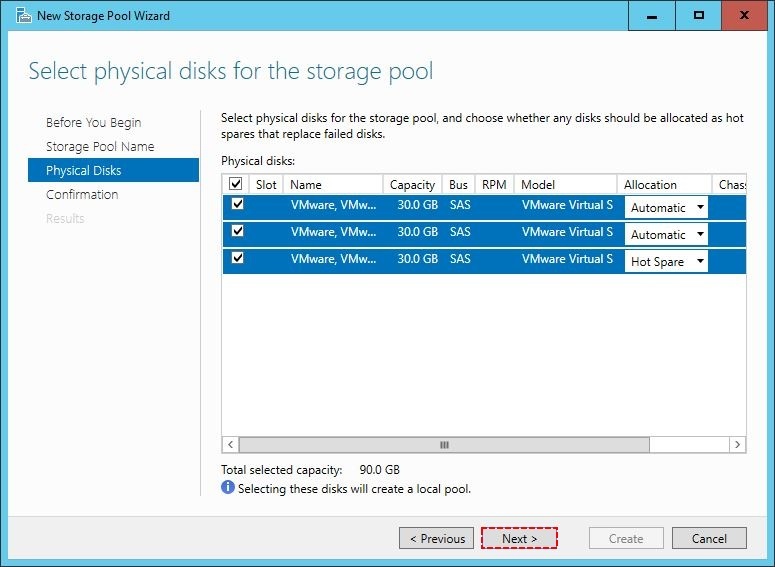 When you added your physical disks, at least, more than one, you can create a storage pool to combine all the disks, from which you can create virtual disks and volume and store data on it. Before getting started, you must understand file systems and volume types and disk types from which you can choose the one correctly you need if you don’t know it click here to read based on this. 1. 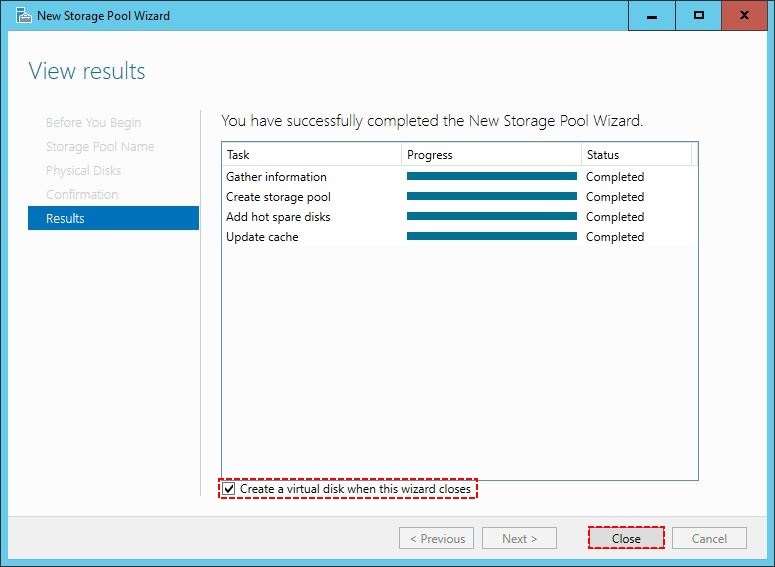 To create a storage pool: Open Server Manager, click the Files and Storage Services>Storage Pools and select the server that the disks are located at then click on Tasks>Create New Pool. 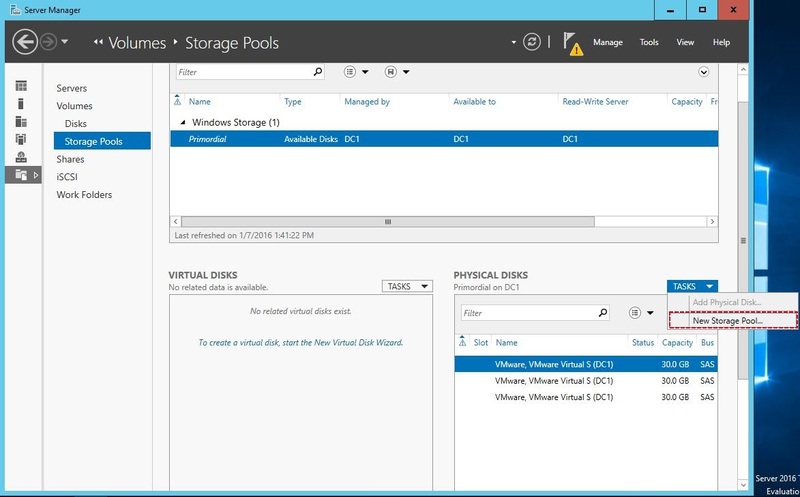 Here you can also see the virtual disks, physical disks Storage Pools created in the server and manage them, like the screenshot shown below. 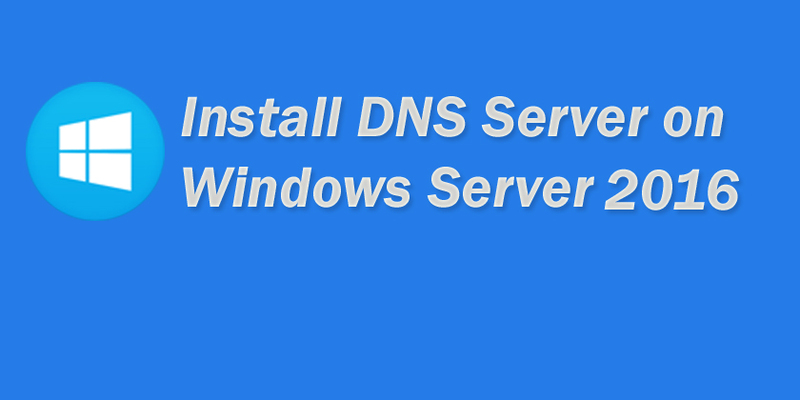 Notice: After adding the disks to the server don’t do anything with the disks. 2. Now read the needed information about the storage pool then click Next. 3. 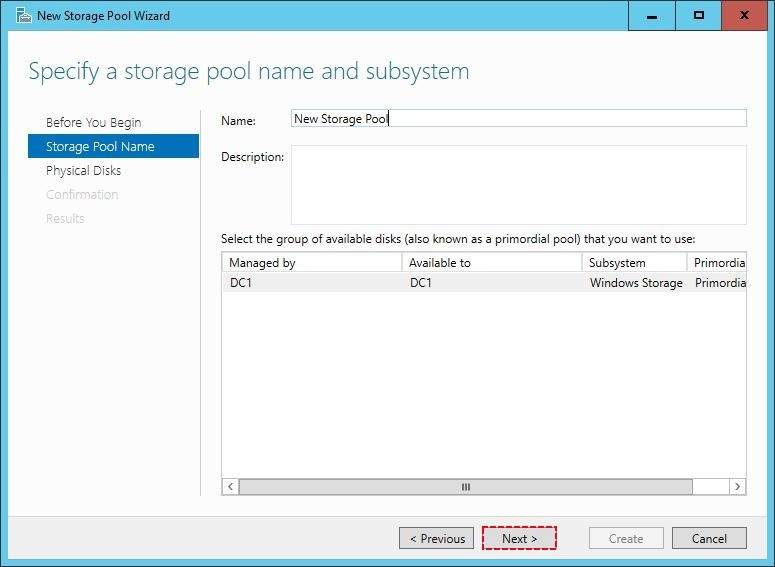 Specify a storage pool name with description and click Next. 4. 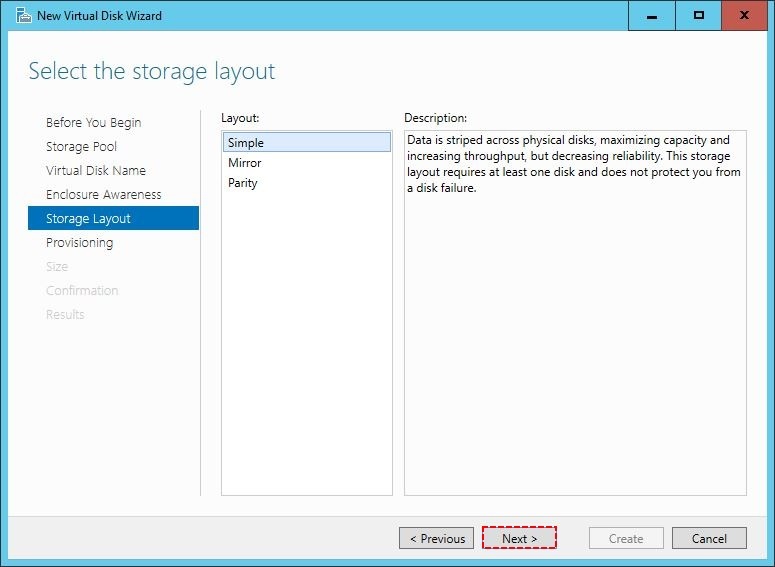 Now select the disks you want to create storage pool also you can select a disk as a hot spare which is for failover clustering/ if a disk fails then the Hot spare disk will work and save the files from being deleted. Note: If you select a disk for Hot Spare it will not work until a disk stop working and if you select it automatic, it will work and can be stored data on it but can’t work like hot spare saving the data. 5. Confirm all the settings have been done correctly then click Create. 6. 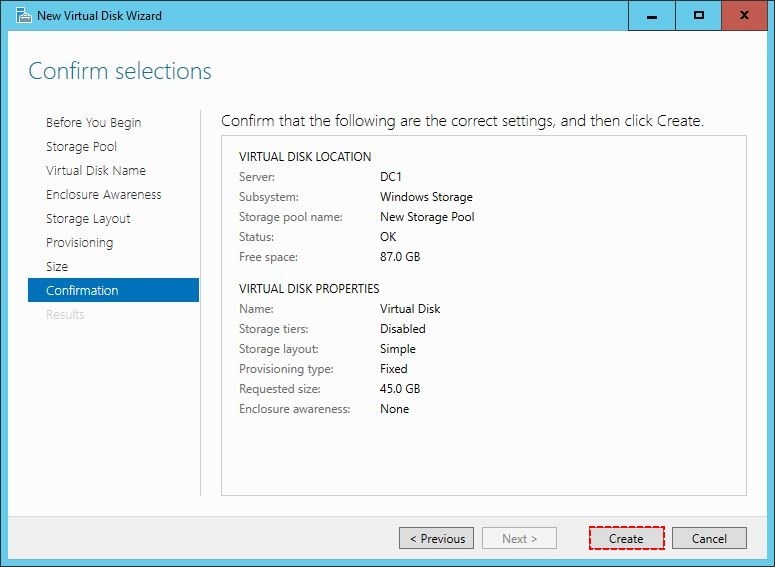 The new storage pool has successfully completed, now click create a virtual disk when this wizard closes to create a virtual disk after this wizard and click Close. 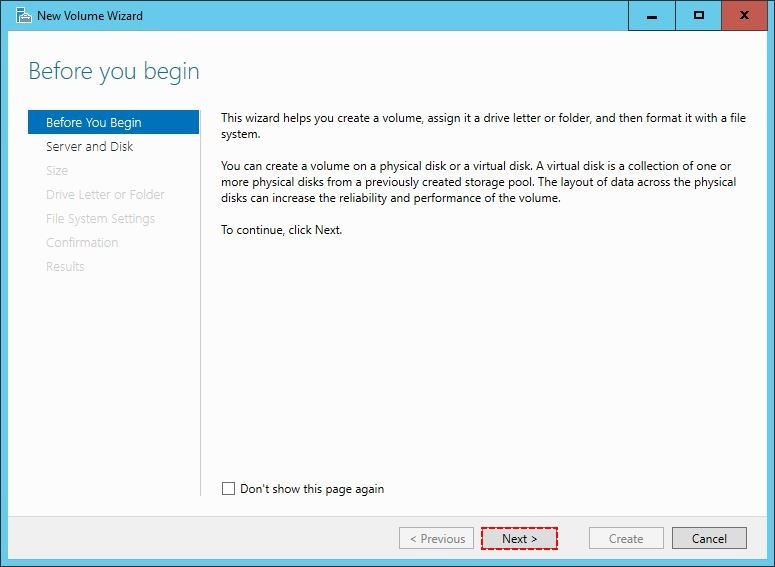 When the virtual disk wizard opened, read the details about it then click Next. 2. 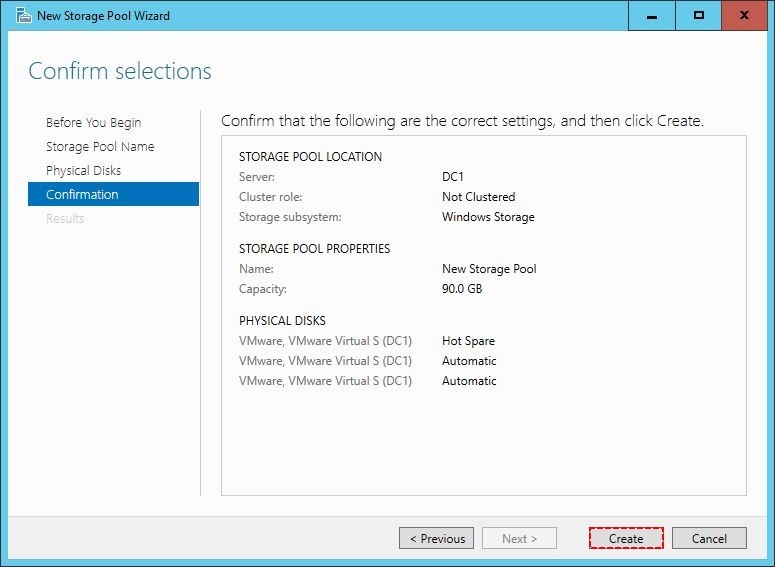 Select the storage pool to create a virtual disk, if it’s selected automatically just click Next. 3. 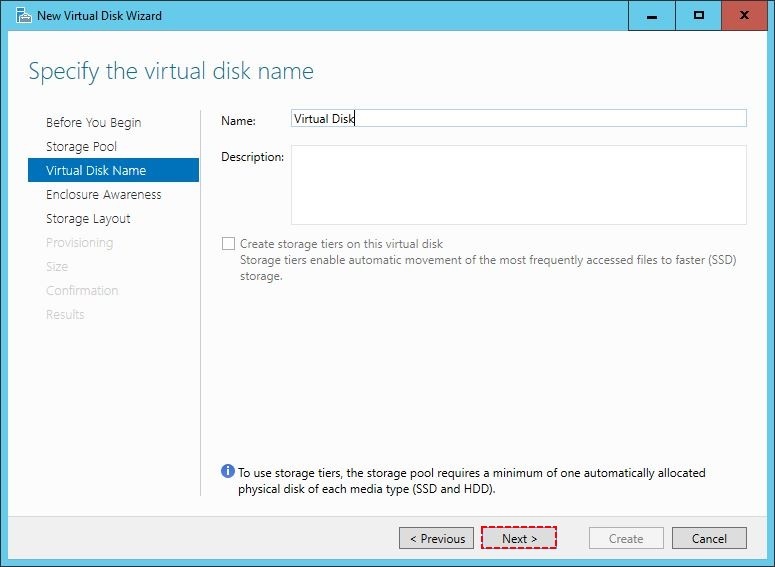 Specify the virtual disk name and click Next. 4. At this step, you don’t do anything just click Next. 5. Select a storage layout/style you need then click Next. If you don’t know the definition, select the one and read the explanation beside it. 6. Select a provisioning type then click Next. 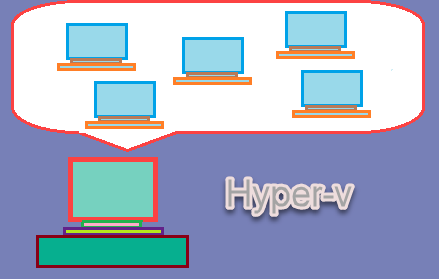 The thin option uses space from the storage pool as needed, up to volume size and the fixed option uses from the storage pool equal to the volume size. 7. 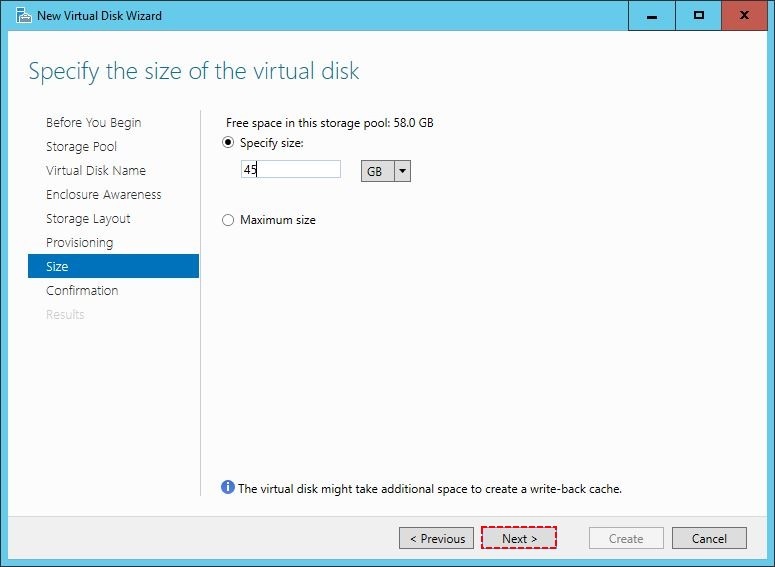 Specify the size of the virtual disk or select maximum size then click Next. If you specify the size the remaining size will be offline and not used and if you select the maximum size it will select all the size of the storage pool. 8. At this point, check all the configuration you’ve done and click Create to start the process. 9. 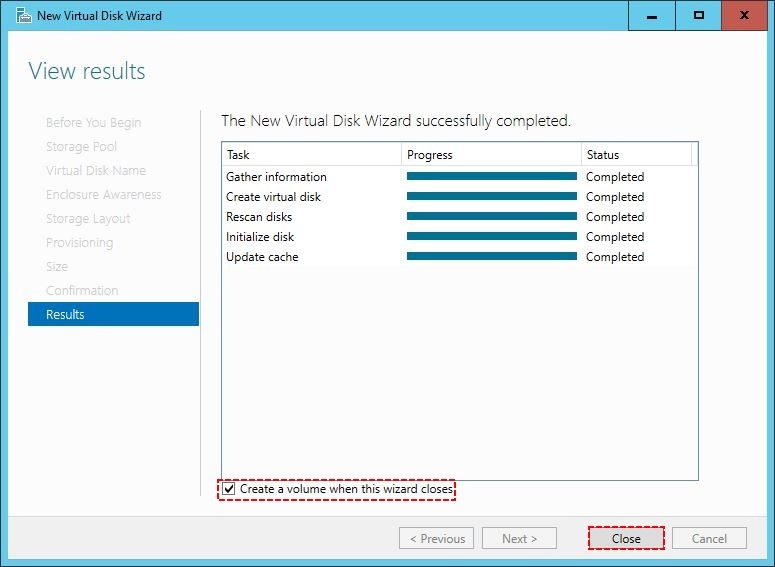 Now the wizard has accomplished successfully and the new virtual disk has created, mark the create a volume when this wizard closes and click Close. 1. 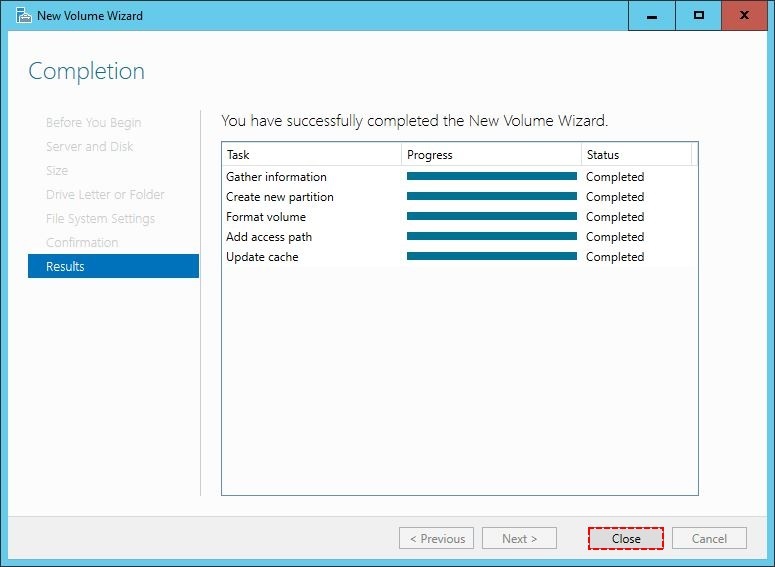 After creating the virtual disk, mark the Create a volume when this wizard closes then click Close. When the new volume wizard opened, read the required information about it then click Next. 2. 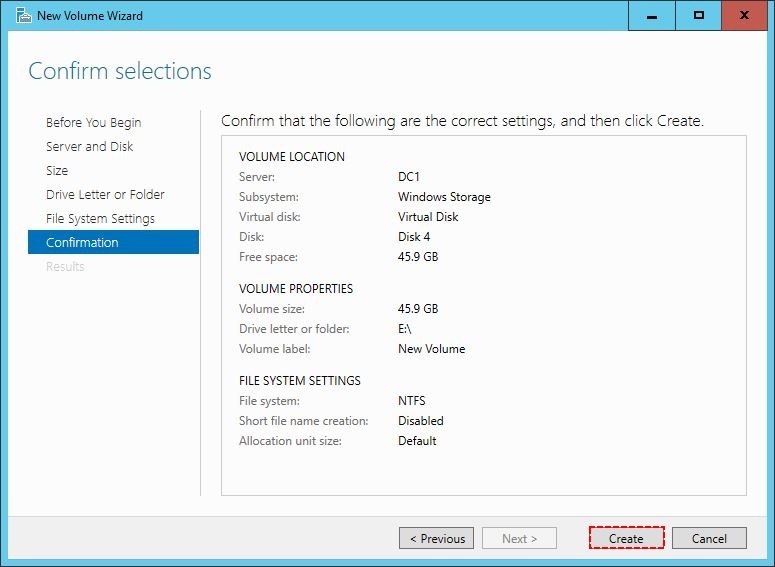 Select the server and disk you want to create volume for, if it’s selected automatically just click Next. 3. 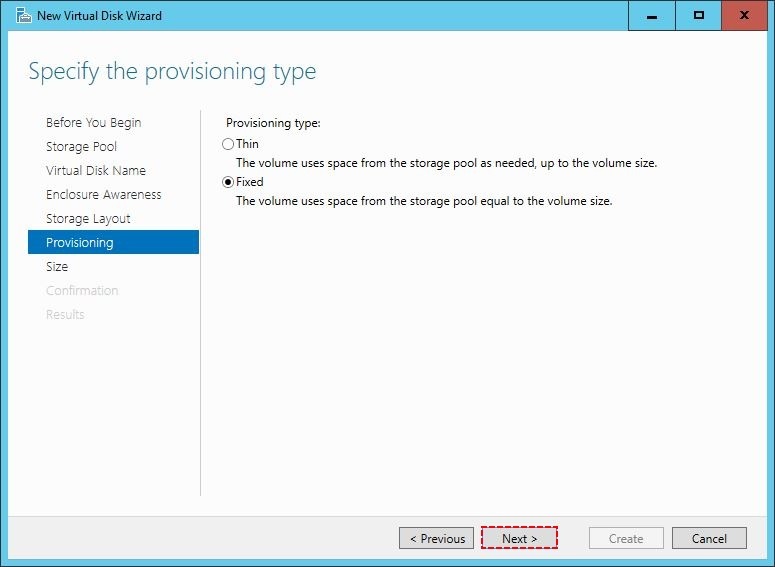 Specify the size of the disk, or let it by default then click Next. If the volume size will be specified, the remaining size will be offline and unused, it can be configured separately from it. 4. 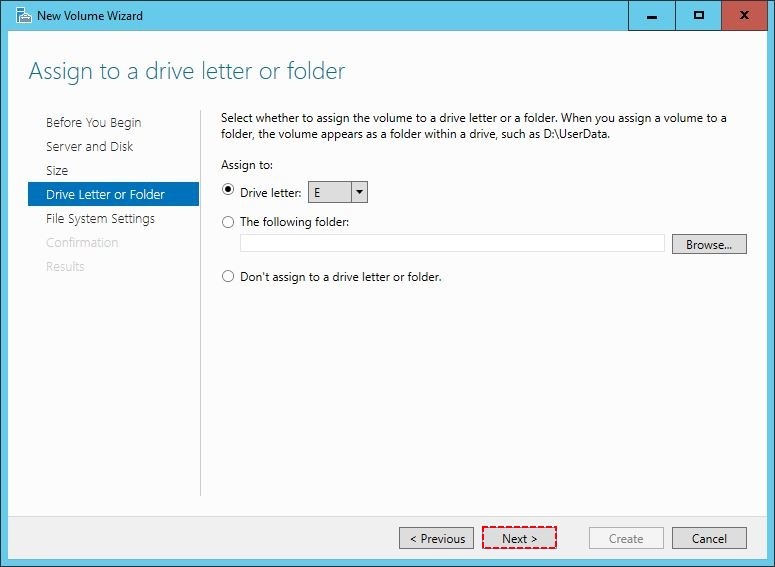 Select a drive letter or folder to assign then click Next. 5. 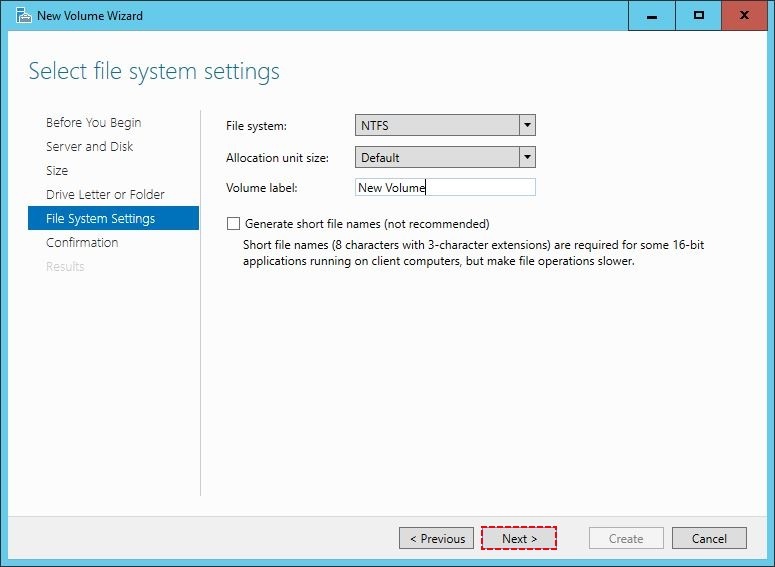 Select the file system like NTFS then type a volume name or you can let it by default then click Next. 6. Notice that all the settings have done correctly and click Create. 7. The volume has created successfully click Close and start using the storage pool. The storage pool and the disks have now been successfully created and ready to use, like the screenshot. 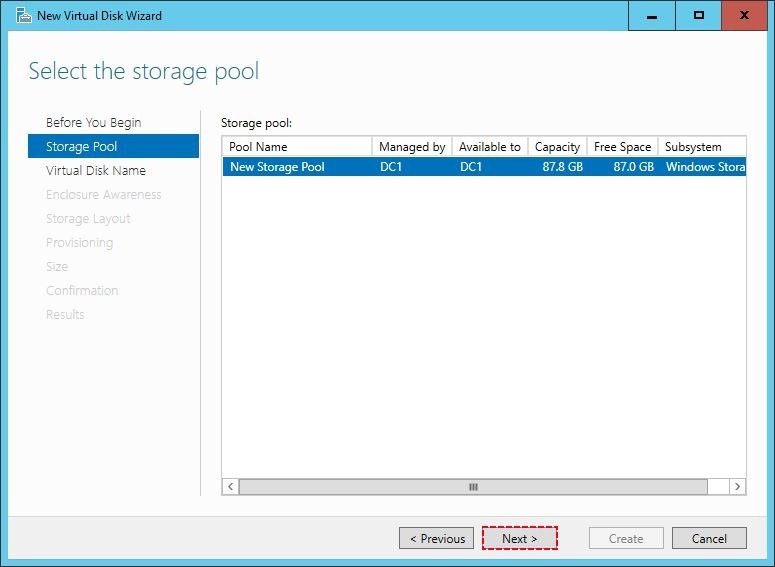 To create a new storage pool again, follow the steps above, to delete any storage pool just right click on it under the windows storage then select delete. That’s it. If you have any question regarding this ask now.